The presence of mold in the home can be dangerous. Serious health issues can arise if certain types of mold are not taken care of properly. Since this is the case, the best course of action to take upon discovering mold or suspecting a mold issue in the property is to contact South Coast Restoration for professional mold cleanup and removal services. 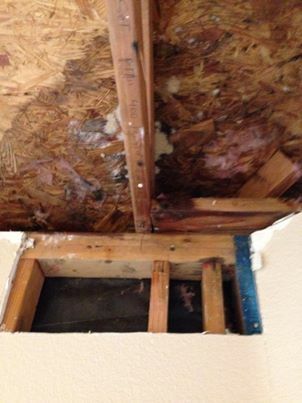 Preventing mold from even developing in your property is important, so it is critical to rely on South Coast Restoration for emergency water damage cleanup and restoration services immediately after a flooding or other water damage situation. However, if there is a visible presence of mold, a strong or musty odor, or excessive humidity in the home, then professional mold cleanup and restoration assistance from South Coast Restoration should be sought immediately. An experienced mold cleanup and restoration professional from South Coast Restoration will evaluate the situation, professionally remove the mold, and restore the area as if there was no mold problem to begin with. South Coast Restoration has been providing high quality mold removal and mold remediation services for customers in Orange County since 1991. If you suspect you have a mold issue or discover a mold problem within your property, then it’s important to have a mold removal and restoration professional from South Coast Restoration come and take care of the issue as soon as possible. We are available for 24/7 service and can be reached by phone at 800-992-4493. When it comes to contacting a professional mold cleanup and removal company in Orange County, price is just one of the factors which should be considered. In order to receive the best services possible, it’s important to find a company with a proven track record of delivering both quality work and customer satisfaction. Such solid experience with mold removal can be found with South Coast Restoration, Inc. Roof Leak Left Untreated – Now Requires Mold Clean Up and Removal. Since 1991, we at South Coast Restoration, Inc. have been providing Orange County households and businesses with high quality restoration and construction solutions. From responding to emergency restoration situations such as in the case of flooding or fire damage to providing mold clean up and removal services, South Coast Restoration, Inc. is the right company to rely on for quality work and unrivaled value. We are committed to top-quality workmanship and are always looking for ways to deliver greater value for our customers. For these reasons we’ve continued to maintain our stellar reputation for providing Orange County homes, businesses, and institutions with the highest quality professional restoration and construction services around. If you require mold cleanup and removal services from an experienced company you can trust, then choose South Coast Restoration, Inc. We are available 24-hours per day, so feel free to give us a call at 1-800-992-4493. We’ll be more than happy to answer any questions you have. Also be sure to learn more about our restoration, construction and asbestos removal services by browsing through our website.